Friends of the Jones Library System News: Thank you, Amherst Books! The Friends of the Jones would like to thank Amherst Books for their wonderful donation of 10% of all proceeds on Amherst's Bag Day. Amherst Books presented the Friends with a very generous $706 check. 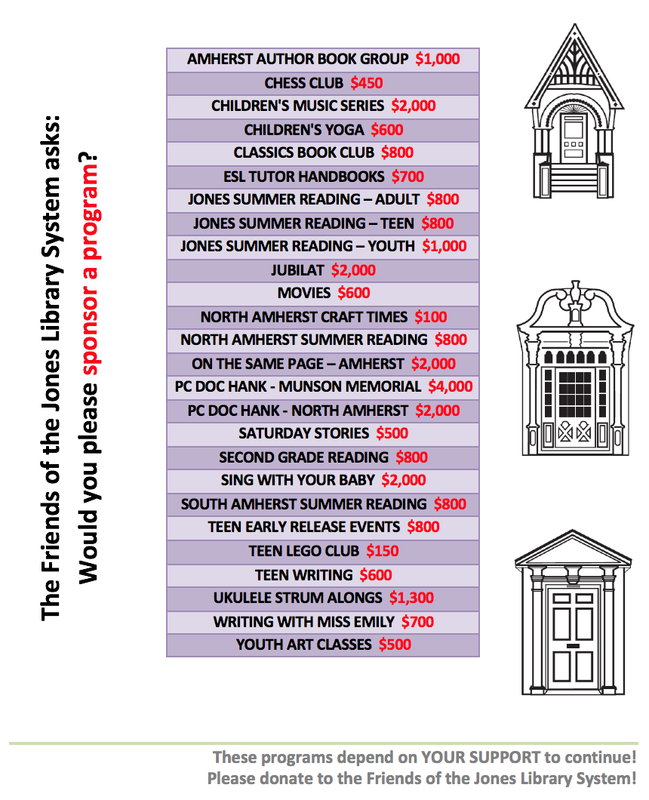 The Friends use donations like these to, among other things, purchase books for the town libraries, fund music and art programs, and support the Jubilat/Jones poetry series.